1. By using BitFenix.com you agree to be legally bound by these terms, which shall take effect immediately on your first use of BitFenix.com. If you do not agree to be legally bound by all the following terms please do not access and/or use BitFenix.com. 2. BitFenix Co. Ltd. may change these terms at any time and without prior notice by posting changes online. Please review these terms regularly to ensure you are aware of any changes made by BitFenix Co. Ltd. By continuing to use BitFenix.com after changes are posted, you agree to be legally bound by these terms as changed. 3. You may not use BitFenix.com content in any way except for your own personal, non-commercial use. You also agree not to adapt, alter or create a derivative work from any BitFenix.com content except for your own personal, non-commercial use. Any other use of BitFenix.com content requires the prior written permission of BitFenix Co. Ltd.  The names, images and logos identifying BitFenix Co. Ltd. or third parties and their products and services are subject to copyright, design rights and trademarks of BitFenix Co. Ltd. and/or third parties. See our Copyright Notice for more information. 4. You agree to use BitFenix.com only for lawful purposes and in a way that does not infringe the rights of, restrict or inhibit anyone else’s use and enjoyment of BitFenix.com. Do not harass, cause distress, or inconvenience anyone else using BitFenix.com. Do not transmit offensive or obscene material when using BitFenix.com. 5. All content on BitFenix.com, including information, names, images, pictures, logos and icons regarding or relating to BitFenix Co. Ltd., its products and services (or to third party products and services), is provided “AS IS” without express warranty of any kind. 6. Under no circumstances will BitFenix Co. Ltd. be liable for any of the following losses or damage (whether such losses where foreseen, foreseeable, known or otherwise): (a) loss of data; (b) loss of revenue or anticipated profits; (c) loss of business; (d) loss of opportunity; (e) loss of goodwill or injury to reputation; (f) losses suffered by third parties; or (g) any indirect, consequential, special or exemplary damages arising from the use of BitFenix.com regardless of the form of action. 8. BitFenix Co. Ltd. does not warrant that functions contained in BitFenix.com content will be uninterrupted or error free or that BitFenix.com or the server that makes it available are free of viruses or bugs. 9. Where submitting any contribution to BitFenix.com (including any text, photographs, graphics, video or audio) you agree to grant BitFenix Co. Ltd. a perpetual, royalty-free, non-exclusive, sub-licensable right and license to use, reproduce, modify, adapt, publish, translate, create derivative works from, distribute, perform, play, and make available to the public worldwide. If you do not want to grant to BitFenix Co. Ltd. the rights set out above, please do not submit your contribution to BitFenix.com. You also warrant that your contribution follows BitFenix.com’s Community Rules. No posting of illegal copyrighted material that does not belong to you. This includes text, graphics, video, programs or audio. No disruptive, offensive or abusive behavior. Using multiple logins for the purpose of disrupting the community or annoying other users will result in a banning from BitFenix.com. Be careful about what you post. Do not reveal personal information such as home addresses or telephone numbers. BitFenix.com is not responsible for any damages that may result if you do so. No vulgar or offensive user names. The views expressed in BitFenix.com Community sites are those of members of the public and are not necessarily those of BitFenix Co. Ltd.
Failure to follow these Community Rules will result in a warning from BitFenix.com. Repeated warnings may result in a temporary or permanent banning from BitFenix.com at the sole discretion of BitFenix Co. Ltd.
11. BitFenix Co. Ltd. reserves the right to delete any contribution, or take action against any account, at any time, for any reason.